Welcome to one-stop shopping for everything you need for your introductory majors course! The author team has taken a garden-fresh approach to revising this highly regarded text. 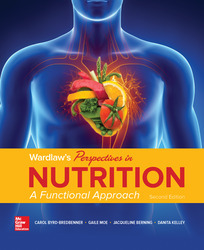 Every paragraph has been scrutinized to ensure that students are exposed to scientific content and concepts that are explained accurately and precisely, and in high-interest fashion that will draw students into their first study of nutrition science.